Operator10 Wastewater | AllMax Software, Inc. Centralized Storage and Control of Your Data! Centralized and uniform data management solution, makes regulatory reporting easier, let’s you see exactly how your plant is performing. Operator10 wastewater provides centralized storage for all your wastewater operations data. Plants that record data from external labs, LIMS, SCADA, Historians and more need a place to house, organize, review, manipulate and report on their data. Operator10 includes multiple options to get your data into our database, and powerful tools to run calculations, create charts, and run reports. Operator10 is your single solution to gain control of your data! Operator10 is your central data storage hub for all your operational data, and offers many options to get your data into our database. DataViews are one of our most powerful tools for entering and reviewing data: manually enter data and create unlimited custom DataViews to for a concise view of the data you need to see. Sampling Events allow users to enter additional details related to lab results. An import utility is available to bring in data from your LIMS. OPC/DDE Interface allows for direct connection to your SCADA system to pull in data at intervals down to the minute. An available Historian Interface allows you to grab and incorporate historical data from your SCADA into the Operator10 database. - DataViews provide powerful insight into your raw or calculated data values. - Record additional details related to lab results. - Capture SCADA readings or import historical readings from Historians using our OPC/DDE or Historian Interface. Create visually impactful presentations using your operational data with Operator10 Charts. When you’re looking for correlations between different parameters, a chart can quickly reveal connections. Or, if you need to create a presentation for stakeholders, charts can add punch to your message. 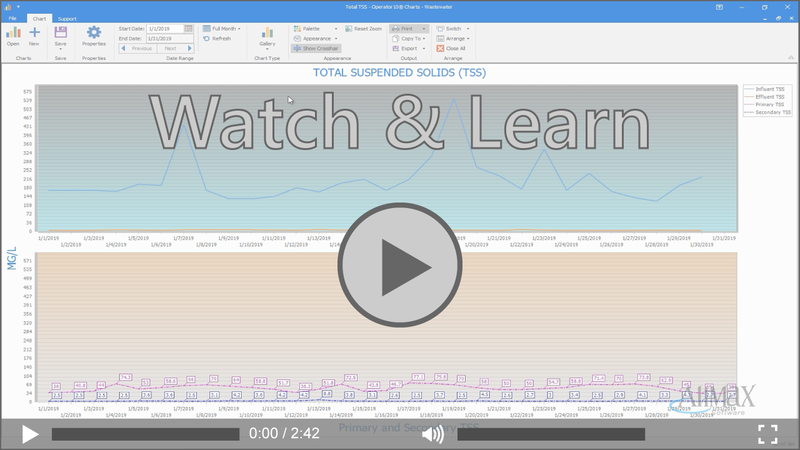 In Operator10, a full-featured 3-D charting package allows unlimited series to be displayed on a single chart. Users may switch between types of charts: daily, monthly and yearly, without creating a new chart. Many options are available for each chart, including calculated values, trend lines and full customization. - Create visual impact with charts, or use them to aid in data analysis and trending. - Fully customizable charts let you create the look you want and present the data you need to see. 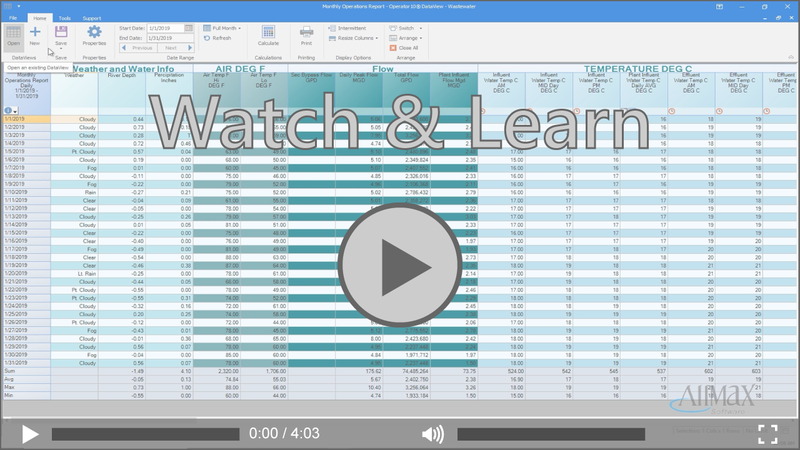 - Set constant lines, linear regression, use formulas and more. Numerous State forms are available for reporting. Additional forms are regularly being developed to satisfy the reporting requirements of specific states. Multiple year and 5-year reports are available to satisfy specific reporting requirements. 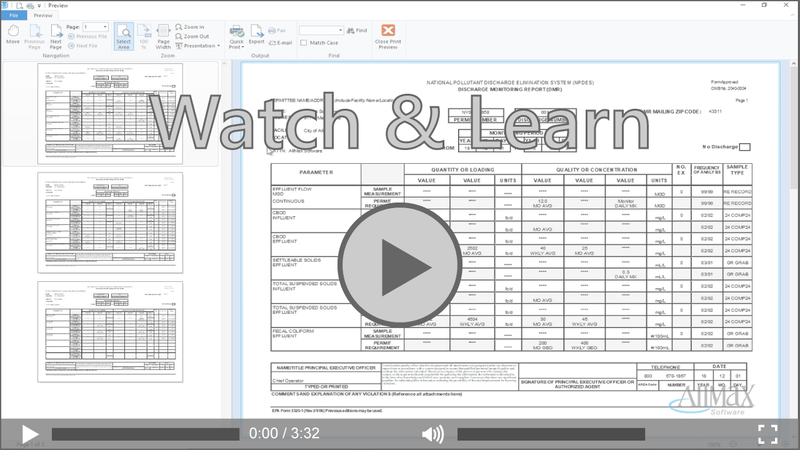 Mass Balance Report provides monthly summary information for loading and distribution of solids. Limit reports can be printed to verify entered data and calculated data against limits before submitting the completed state forms. Reports are created using a form editor and have built-in calculations. No additional custom formulas are needed. Built-in and custom formulas can be selected from drop-down lists, and permit limits can be entered so that exceptions can be calculated. Alternate text can be entered and printed when no data exists or when the reported value is less than the defined value. In addition to printed reports, data can be prepared in an electronic format suitable for uploading to state and federal agencies/authorities, such as XML, ASCII text or other formats. - Create regulatory and management reports using built-in report forms, including regulatory reports for many states. - Populate reports with data stored in Operator10, use report formulas to calculate results and enter permit limits to calculate exceptions. - Export of XML data is supported for use in electronic report submittal. 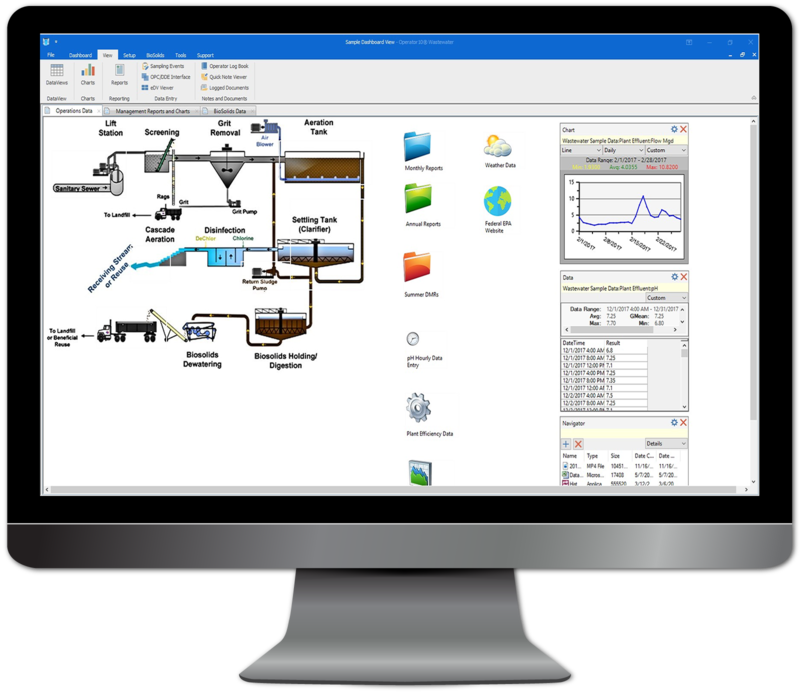 Want to learn more about Operator10 wastewater data management software? Submit the form below to request more information or to schedule a demo! © 2019 AllMax Software, Inc. All Rights Reserved.